1 – Your Logo Design has always been the same. 2 – You only have a JPEG file version of your Logo. 3 – Your Company has changed significantly. 4 – You need to separate your Brand from the competition. 5 – Your Logo is not versatile. 6 – Your Logo contains too many intricate details. 7 – Your Logo does not inspire you. 8 – Your Logo was created in outdated software. In any business, things rarely stay the same for long. New trends emerge, technology advances and market demands evolve. For entrepreneurs, staying up-to-date with everything that is happening within an industry can feel like a full-time job in itself. Continually positioning your business ahead of the curve is one of the smartest ways to maintain success. Yes, even when it comes to logo design! So, when was the last time your company changed its logo? For many business owners, the answer is several years. Now, think about what your company looked like at that time. If your last logo was designed six years ago, ask yourself: “What did my company look like at that time?”. Was it smaller? Was the structure of the business different? Did you offer fewer services? Has your location changed? If so, it is time to determine if your current logo truly represents your business as it is in the present day. However, there is also a high likelihood that it does not. How can you be sure? We are glad you asked. However, when it comes to the visual elements associated with your branding, there can be a fine line between consistency and monotony. If your logo has not changed since the inception of your business, it may be time to step into the modern day era and give your customers something fresh. Simplicity is one of the top recent logo trends. Companies of all sizes are adjusting their logos to be clean, self-explanatory, and easily recognisable. After all, in a world that is saturated in advertising, you want your company logo to be instantly discernible from all the others. Famous breakfast restaurant chain IHOP is just one of many well-known brands that recently embraced simplicity after years of sticking with its original logo. Their former logo (pictured on the left) featured more design elements, like the square blue background, the blue rectangular line framing the outside edge of the logo, the red banner, and a shadow effect on the white “IHOP” text. 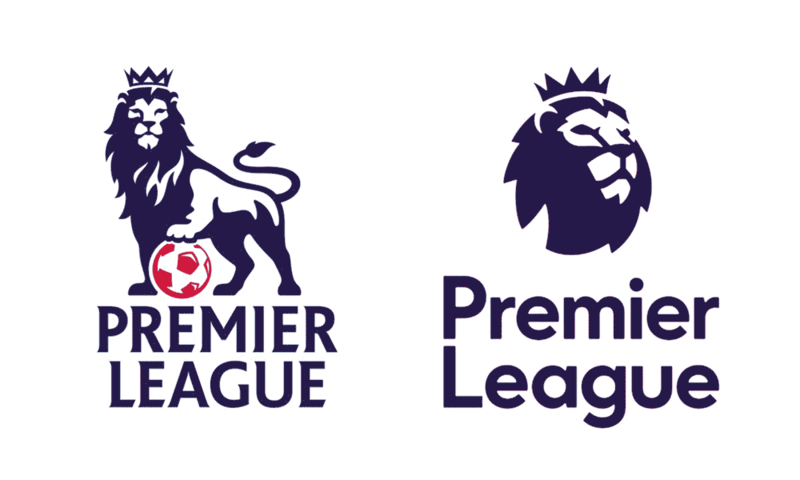 Notice how the new logo (on the right) takes a more minimalistic approach? The only elements include the text (in the same font, but now changed to the branded blue of the previous background), and the simple red line that represents a smile. Because of this change, IHop now has a logo that stands out against a white background, and that reduces the amount of text viewers has to read. The new logo can be processed much more quickly by the minds of the customers IHOP is trying to reach. It is not uncommon for businesses to start out with just a JPEG file of their new logo. Alternatively, some companies have various formats of their logo in the beginning, but files get replaced or moved around over time, and eventually misplaced. Unfortunately, if you have lost the original Adobe Illustrator file for your current logo, you are in a bit of a predicament. Since that is the working file (from the software that your logo was created in), it will be difficult to produce the other file types you will need. While you have your JPEG file, JPEG’s are not easily converted, as they lose resolution and clarity when altered too many times. Thus, it is better to invest in a new logo design and ensure that you have all the file types your business will need. Trust us; you will be avoiding a logo design mistake that many entrepreneurs make! Companies are like living organisms, always evolving and changing. Sometimes, those changes are internal and don’t require a new approach to branding. However, in other scenarios, it is worthwhile to share the developments that are taking place. For example: If your company has just made the move to offer more gluten-free, vegan, and plant-based products, you will want to consider how this will impact your brand identity. After all, the decision will open up a whole new target audience that you likely wouldn’t have captured before. So, does your current logo design speak to the new focus of your business? If not, it is an excellent time for an update! Sprite, the clear bubbling beverage by Cola-Cola, is a good example of a brand that embraced this way of thinking. After implementing a substantial decrease in the amount of sugar in their soda, as well as removing caffeine, they decided that the Sprite logo needed to reflect their new objective of making their products as health-positive as possible. This is the former Sprite Logo Design. The background is a bold transient blue-green, and the word Sprite pops against it. This logo is reminiscent of 80s logo design trends like neon colours and funky shapes. This is the new Sprite logo. Notice how Sprite has simplified and has decided to stick with two colours: green and yellow. This is likely a play on colour psychology since green is typically associated with environmentalism and health. While the change is not drastic, the new logo speaks more accurately to the current state of the Sprite brand. The white background also gives the logo design a clean, contemporary feel. Did you feel proud of your logo design initially, only to later notice that multiple competitors were now using similar graphic elements in their logos? It is better to alter your course of action to differentiate yourself than it is to do nothing. Visuals like flowers, water, and plants are frequently used in Spa logos. In particular, the Lotus flower is used in many instances. While these elements are related to the industry and are easily recognised by potential customers, sometimes taking a unique approach pays off. The logo on the below is used by Sage Float Spa, one of Capitola’s most premier health and wellness getaways. Take note of how Sage stayed away from conventional spa visuals and opted instead to use an exclusive, discernable font and a neutral, earth-toned palette. This logo is calming and simplistic, a fantastic representation of the type of experience potential customers are looking to have by booking services at a spa. Remember, your logo is one of the first things potential customers will recognise about your business and brand. You want it to be exceptional and incomparable to those of your competitors. If your logo is feeling a little run-of-the-mill, have an office brainstorm! Ask your colleagues what they think would represent your business more accurately. A logo should be able to function in multiple different ways, yet still consistently represent your business. The best graphic designers know how to design a logo with diverse functions in mind. Toyota, one of the world’s largest suppliers of motor vehicles, is a classic example of the versatile logo. This primary version of their logo includes their icon, the name of their brand, and their tagline. Well, primarily because it provides your business with options when it comes to how your business is portrayed in print documents, on the web, or in any other medium where a logo is required. For example, if you know your logo is being printed in black and white, you might opt to use the icon only, since the branded red text will not appear as it is meant to. Being able to use the various parts of your logo, or the greater whole gives you flexibility. Another example: What if you need to pick a profile picture for your Facebook business page? The original rectangular-shaped logo design will not work for this purpose since the required dimensions of a Facebook profile picture are square. However, the second version of the logo with just the word “Toyota” beneath it, would likely fit quite well. Why limit your branding options? If you do not currently have a versatile logo design, it may be time to upgrade. Super intricate and detailed logo designs can appear to be striking and beautiful at first glance, but unfortunately, they are rarely practical. The more details that are in your logo file, the more difficult it will be to have your logo appear correctly on print materials or for it to look the same when it is downsized. Yet, this remains one of the most common logo design mistakes. For example, the brewery logo below looks great at its current size. However, when the logo is downsized, the visual becomes challenging to make out. It is essential that a company’s logo is quickly identified and understood no matter how big or small the image size is, and that details remain clear and unpixelated at each scale. If your logo becomes blurry or unrecognisable at various sizes, it is a tell-tale sign that a change is needed. When you see your logo, does it excite you about your business? Do you feel that it captures the essence of your brand? Has it lost its allure? Because a logo should be an illustration that represents a business you are incredibly proud of. After all, that is why you went through all the trouble of starting a business, is it not? So, if your logo no longer gives you that little burst of energy that should come from something you feel strongly about, you need to ask why. Is the logo true to your vision of your company? If not, why not try your hand at creating a logo that you feel better demonstrates your business? There are tons of online graphic design tools you can use to do this. A fantastic place to start would be Design Wizard, purely based on their large selection of premade templates to choose from. Try to find visual elements, colours, and shapes that you feel speak to the nature of the work you are doing each day. When your creation is complete, you can bring it to a graphic design agency as an example of the look you are aiming for, or you can poll your staff members to get their thoughts on the new look versus the old. Either way, your logo should always excite you. So do whatever it takes! Hey, we get it. You did the best you had with the software that was available to you at the time. Don’t be ashamed! Every business has to start somewhere. However, if you designed your logo using Corel Draw, it is time to bring that thing into the 21st century! Today, numerous photo editing tools can be utilised to create a modern, leading-edge logo design. And the best part? Many of them are available at absolutely no cost! Today’s graphic design tools offer features that will enhance your logo and make it the shining star it ought to be. The ability to customise professional-looking templates, build variations of your branded content, and export your designs in a range of different ways to just about any location you can think of, are all highly beneficial and worth their weight in gold. Author Bio: Claire O’Brien is the Marketing Manager at Design Wizard. Claire has more than ten years experience in content creation including visual content, digital marketing, email marketing, social media and advertising. She has an avid interest in all things digital and software related. Sure, someone, somewhere can probably build you a bookcase or a dresser or replace your car’s engine using only a hammer, but that doesn’t make it the right tool for the job. Please stop propagating foolishness.